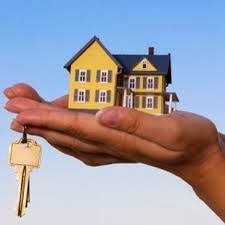 Looking for a new house can be an intensely frustrating experience, especially if you are working to a tighten budget. Anyone who has been looking for a property without having much money to spend on it has probably gone through the same deflating experiences. Some places might sound great when you read the description but turn out to be cramped, dirty or just plain horrible. So what do you do? A recent study showed that many people saving for a home have given up. Will you just give up as well or will you get smart and find a way to get a better house than appears to be possible. Walking into a rundown property won’t make you feel as comfortable and at home as you will feel in a show home. However, you should try to look beyond the initial appearance and get a feel for what it could be turned into. It can be easy to get put off a property because the paint is peeling off the walls and there are some roof tiles missing. However, this is exactly the type of place which you could pick up for a bargain price. Even if you aren’t a huge DIY freak you might find that many of the jobs needing done are things you would feel quite comfortable doing. Things like painting the walls, tidying the garden and filling in cracks can be easier than you might think. You might feel as though you have taken on a massive project when you first walk into a house like this but if you approach it one phase at a time you could end up with a far more expensive home than you could otherwise have afforded to buy. Do you have your heart set on living in an upmarket or trendy area of town? If you have then you are going to have to pay for the privilege. In some towns the price difference for similar properties can be significant even when they aren’t really that far apart. Of course, you wouldn’t want to end up living in a dangerous street where you fear for your life but would it really be that bad? In a lot of cases some parts of town just end up stuck with a bad reputation even when they are decent places to live in. If you look further afield you could find that your money goes a lot further. If you don’t know all of the possible areas near you well enough to make an informed decision then it could be time to investigate them all and see what they have to offer. Every little bit you can get reduced off the price you pay can help make the difference. If you find a property which is just out of your financial reach you shouldn’t automatically give up on it. It might be that the seller is keen to get rid of it and will accept a lower price than they are currently asking for. Use a mortgage calculator like the one from Clydesdale Bank to work out your maximum offer price. Even if they don’t accept your offer you won’t have lost anything by testing the water and seeing whether you can make your budget work harder for you. If you are selling your own property then don’t forget that getting the possible price for it will be a huge help with your budget. You might want to see the back of the place but it could be someone else’s dream home so make the most of its good points. This means getting it spotlessly clean and then fixing anything which needs a bit of work. Even just a few hours of work and a small DIY budget can add a decent amount onto the asking price. If you aren’t sure how best to present the property you should check out a few local show homes for ideas. Finally, one of the best pieces of advice is to buy a property with potential. For example, if it has a big back garden you could consider building an extension at some point in the future. Equally, if there are plans to regenerate the neighbourhood or build a university or hospital nearby then this could see the house revalued significantly in years to come. Don’t forget that you aren’t just buying somewhere to live right now. Finding somewhere with the right level of potential could give you a wonderful and valuable home in the future. Have you ever bought a more expensive house than you thought you could afford? About the author: Luke Blake is a property market expert who has bought and sold a number of times over the years, often getting fantastic bargains on properties which seemed out of his reach at first.